I was hesitant to read Akata Witch because it struck me as more of a middle grade book, rather than young adult. I don’t read middle grade anymore as it can no longer hold my attention. However, the moment I read that Akata Witch is like the Nigerian Harry Potter, I had to give it a try – and I didn’t regret it for a second. I’m surprised I haven’t seen Akata Witch more around the #bookstagram community on Instagram. It was intriguing and engaging right away. I was already fascinated with Sunny from the first page. 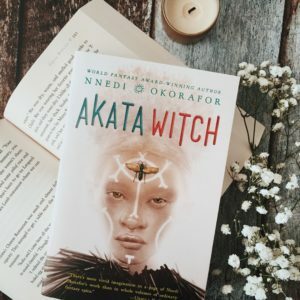 I mostly focus on the characters in a book, but Akata Witch had me loving the characters as well as the world Okorafor wrote. Just like the Harry Potter series, it was a world I wanted to visit because it was so magical. When Sunny makes three new friends – Orlu, Chichi, and Sasha – who have powers of their own I just knew it was going to be a great book about finding oneself, magic learning, and epic battles. While some ideas in the book weren’t new. it was written in such a way that made it feel as if it were a story like none other. I’ll definitely be reading its sequel Akata Warrior, as well as pass down Akata Witch to my son to read. I received this bool in exchange for an honest review. 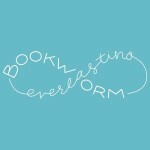 This does not affect my opinion of the book in any way.